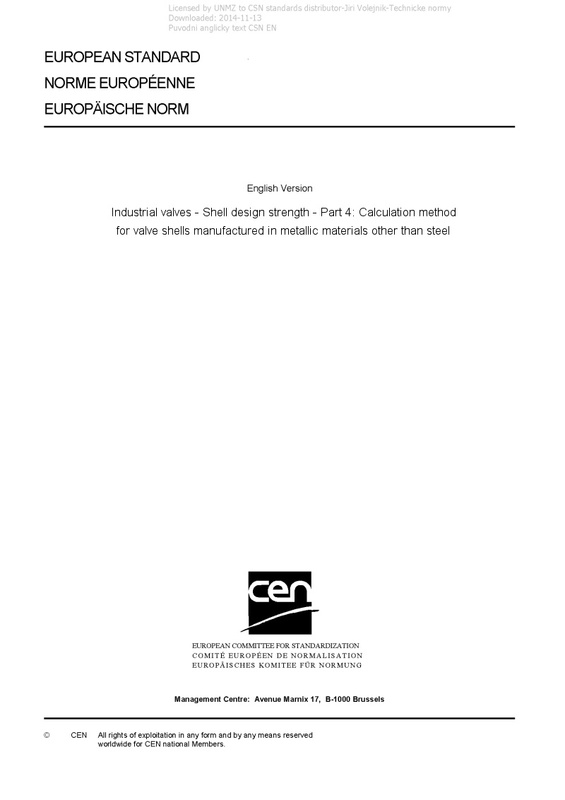 EN 12516-4+A1 Industrial valves - Shell design strength - Part 4: Calculation method for valve shells manufactured in metallic materials other than steel - This European Standard specifies the calculation method for valve shells manufactured in metallic materials other than steel. The loadings to be accounted for are in accordance with EN 12516-2. Design methods are in accordance with EN 12516-2, design by formulae according to the relevant clauses.